A Night of Worship Through The Arts! Join us for a night of praise and worship as we celebrate the unique ways that God gifts us. 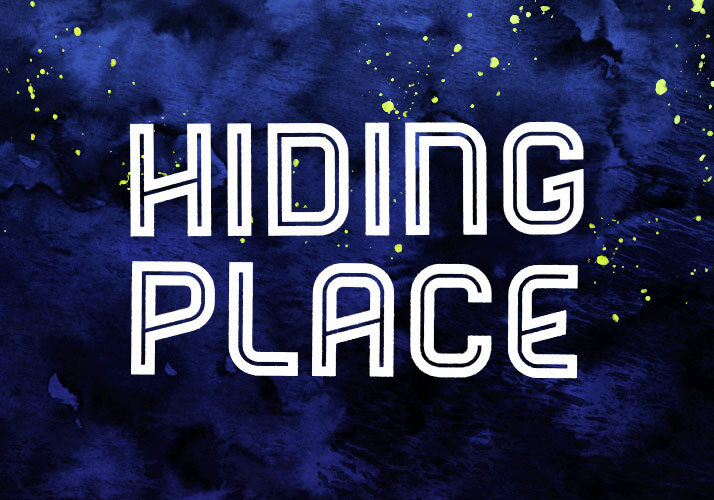 “The Hiding Place” is a night full of performances and exhibits. Whether you write poetry, sing, create art or yo-yo, you are encouraged to join us on this special night. The show is open to all ages and follows a talent show style format. If you are interested in performing, please contact the Church office. If performing seems a bit much, please join us in supporting the many individuals performing on the 27th.